The alt-right’s DeploraBall was met with massive protests. On Thursday night, attendees of the alt-right’s DeploraBall event at the National Press Club were met by hundreds of protesters decrying the movement’s bigotry and the incoming Trump administration. Uniformed police officers shielded guests coming in and out of the building as some of the protesters pelted them with water bottles and eggs. Other protesters played music, carried signs, and projected messages—including “Impeach the Predatory President”—on the building’s façade. 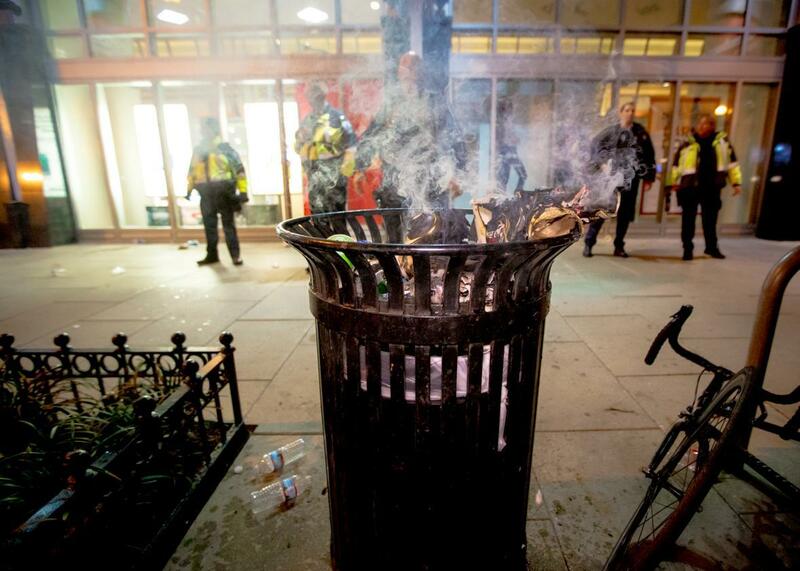 Riot police were brought in, but scuffles between protesters and police were few and minor. According to NBC 4, no arrests were made. 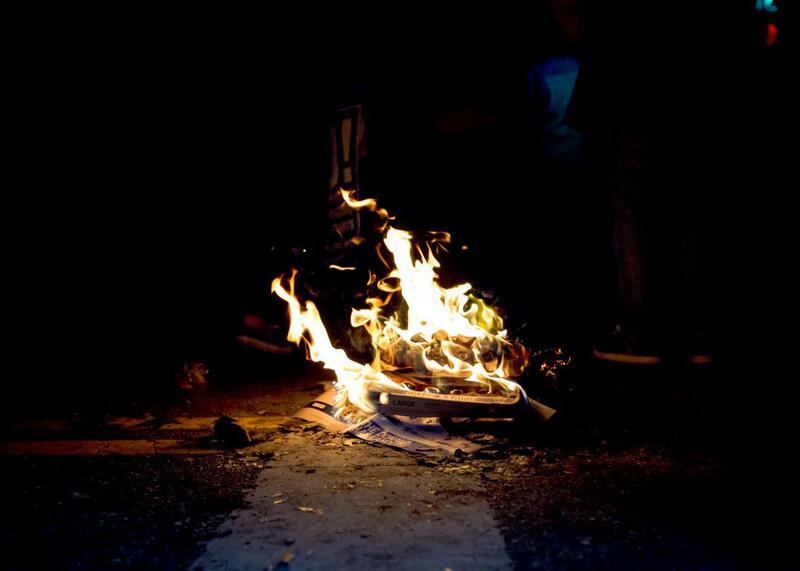 A fire set by protesters burns in front of the National Press Building. 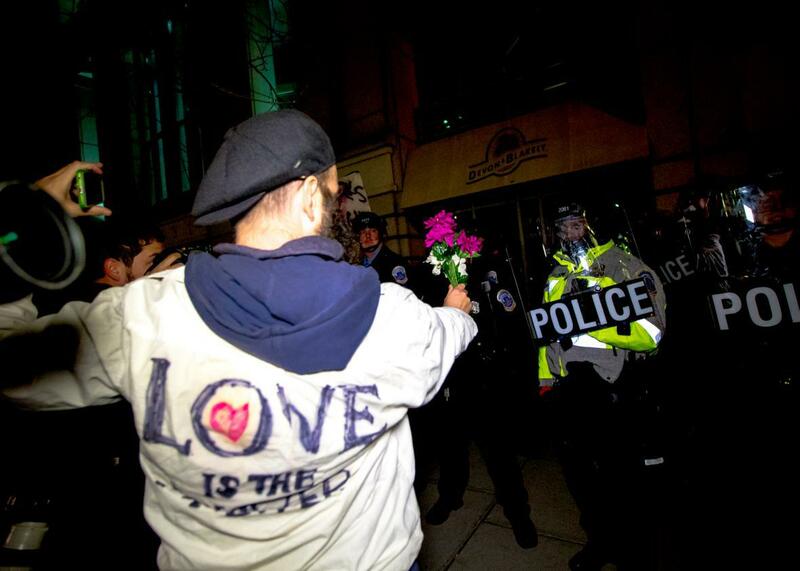 A protester offers police a handful of faux flowers. 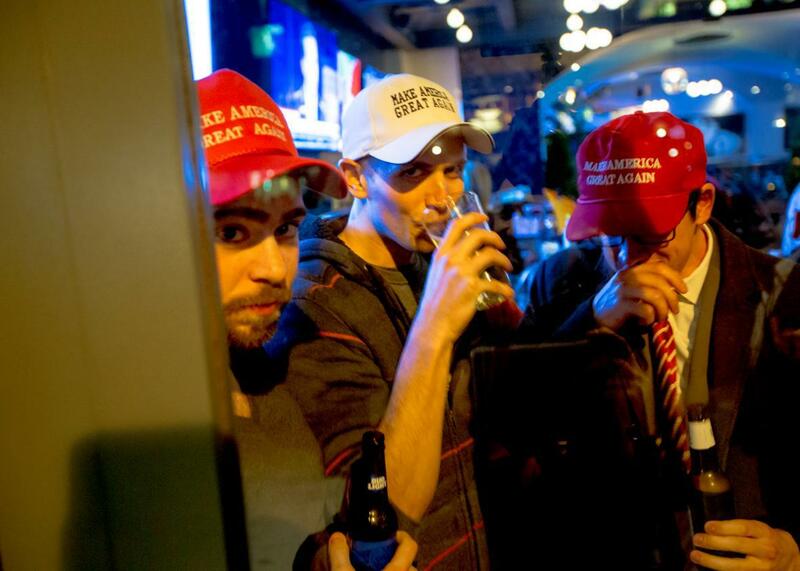 Trump supporters watch protesters from a nearby bar. 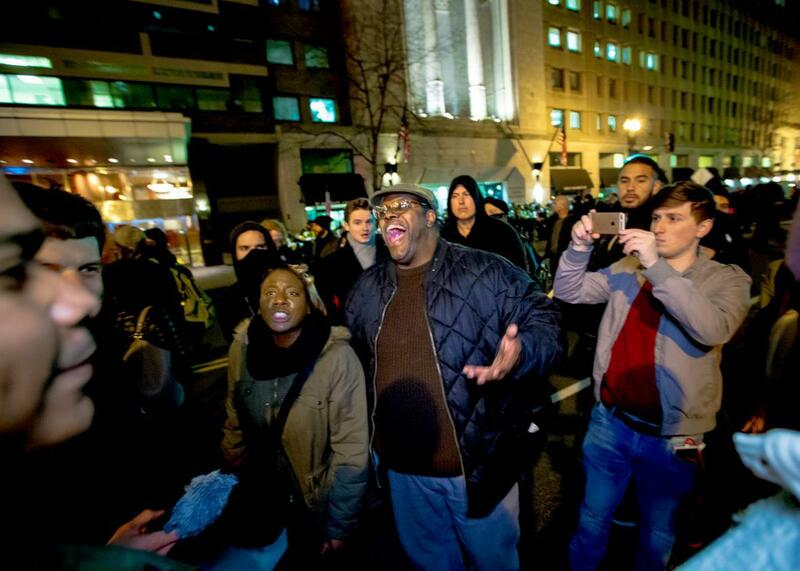 Protester Daryle Lamont Jenkins speaks in front of the National Press Building. Lauren Southern, a host with right-wing outlet Rebel Media, reports from the scene.